We're staying up late next month! This month, we will be closed. 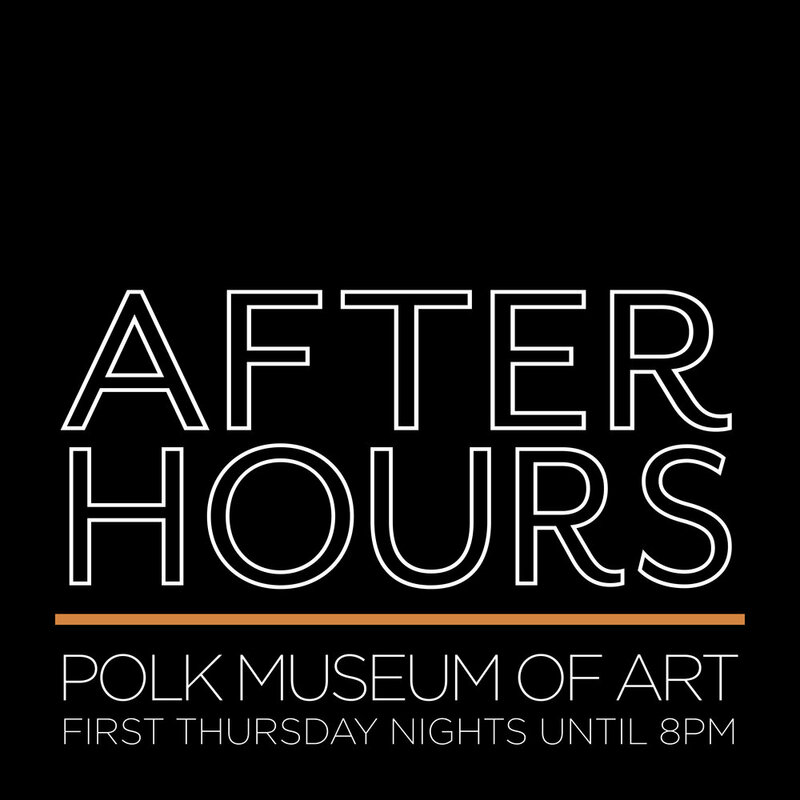 The Polk Museum of Art will be open until 8 p.m. the first Thursday of every month starting in September, and will host a Curator Tour at 6 p.m. Join Dr. Alex RIch, Curator & Director of Galleries and Exhibitions, for an in-depth tour of the Museum galleries, providing art-historical and curatorial insight about one of our current exhibitions.